The thought of the first spring flowers and blossoms tends to be my lifeline through the doldrums of real winter. It's time to be forcing bulbs and branches in order to feed my soul. 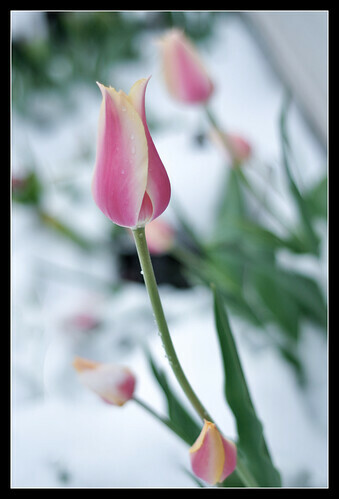 "But I have always thought that these tulips must have had names. They were red, and orange and red, and red and orange and yellow, like the ember in a nursery fire of a winter's evening. I remember them."